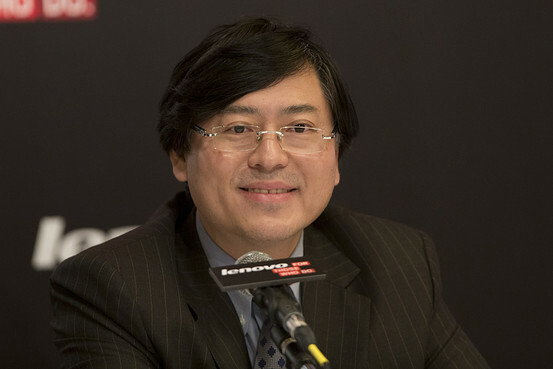 Yang Yuanqing, chairman and chief executive officer of Lenovo Group at a news conference in Hong Kong in May. WSJD: What will be your first task after you complete the IBM server deal? Yang: We have a lot of work to do internally. We want to win more market share from competitors. For the first stage after we close the deal, stabilizing the business is our top priority. During the transition period (since January), we have had some uncertainties. IBM’s customers have been waiting to see whether we can close the deal, what our commitment is and how we do business. I believe that the closing of the deal will give customers more certainty. No matter how much share competitors have gained from IBM, we will get it back. Smith: There was clearly some uncertainty as we had to wait because of the regulatory process. Now we have the most comprehensive road map across the globe. Our competitors better be wary because we are coming at them and coming at them hard. For the first year (after the acquisition), our goal for the overall server business is $5 billion in revenue. WSJD: What’s your goal for the server business for the next five years? You want to be No. 1? Smith: Absolutely. You’ve got to set big targets. It’s going to be a challenge but we have all the tools to do it, whether it will take five years or seven years. Yang: Definitely we will not stop at the current position. We will not be satisfied. The acquisition gives us a good platform to challenge the top 2 players in the server market. WSJD: What is the profit margin for IBM’s low-end server business now? How will you improve the margin? Smith: We can’t disclose our margins because we don’t want our competitors to know all that information. But it is a profitable business and my job is to make it more profitable. Yang: I think IBM has very good technology and very strong engineers. But the industry is changing. With IBM’s current cost structure it’s hard to compete in the industry. We must address this challenge. Fortunately Lenovo’s own enterprise business has grown very fast and we have a very efficient operational platform. As we integrate the business, we can take advantage of both IBM’s technology and Lenovo’s cost efficiency. We expect profit margins in our enterprise business (such as servers) to be higher than those in our PC business. WSJD: Are you planning to reduce your workforce at the IBM server unit after completing the acquisition? Smith: It’s too early to make those assessments. We are going to meet with all the teams. And we will continue to look for the best way to run the business. WSJD: Which regions will your server business focus on? Yang: We will be a very balanced player. IBM’s current stronghold is in North America and Western Europe. But our combined server business after the acquisition will also expand aggressively in emerging markets, especially China.